Home / AIR MAX 95 "NIKE DAY"
The Nike Air Max 95 is one of the most celebrated sneakers of all time. 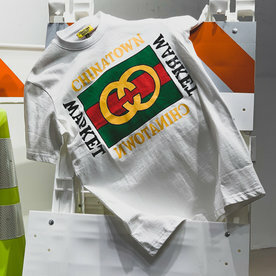 Since its debut in 1995, the design has been steadily gaining fans around the globe. To say it’s a timeless sneaker would be putting it mildly. Created by Nike designer Sergio Lozano, the Air Max 95 is important for its technology as much as its aesthetic. 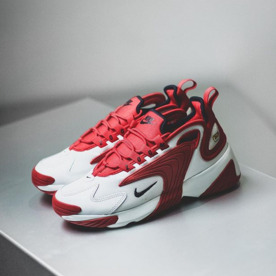 The shoe was the first to utilize visible Nike Air in the forefoot. 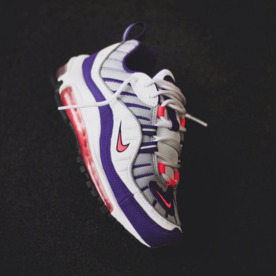 In tandem with the multi-pressured Air chambers in the heel, the Air Max 95 offered more Air cushioning than any other sneaker before, and set a new standard for every Air Max sneaker that followed. 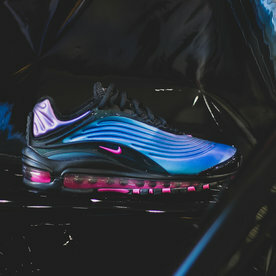 The design is most famous in its original “Neon” colorway, which features a gradient grayscale color treatment that changes from white near the laces to black at the midsole. 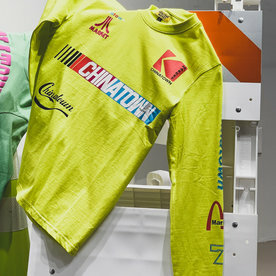 In contrast to the neutral tones, there’s neon green detailing for the lace loops, branding, and Air Max units. 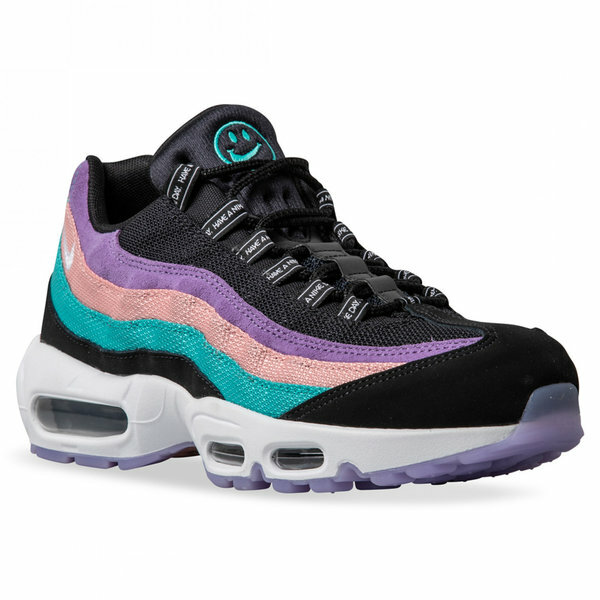 While that colorway is certainly the most famous, the Air Max 95 has dropped in countless looks and materials in the years since, ranging from simple tonal treatments to multicolored executions that take full advantage of the wavy side panels on the upper. 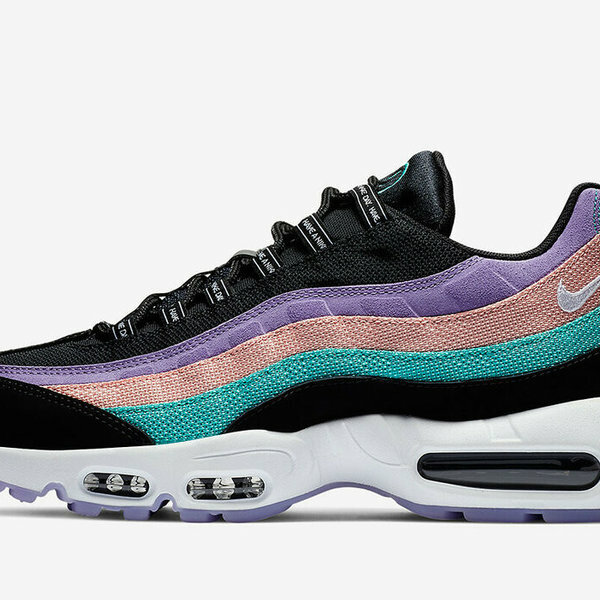 Few sneakers combine functional technology and bold style as seamlessly as the Air Max 95. 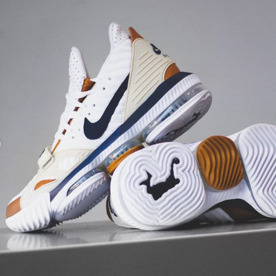 The multiple Air units provide all-day comfort, while the iconic upper turns heads. 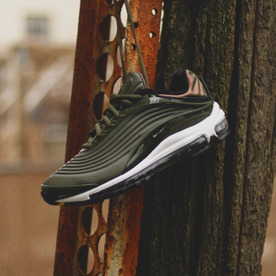 Available in a wide range of colors and material combinations, the Air Max 95 has a look for any sneakerhead. Find your perfect pair at Foot Locker today. • Mesh textile and synthetic upper. Select styles are constructed in leather and/or suede. See specific colorway for materials. 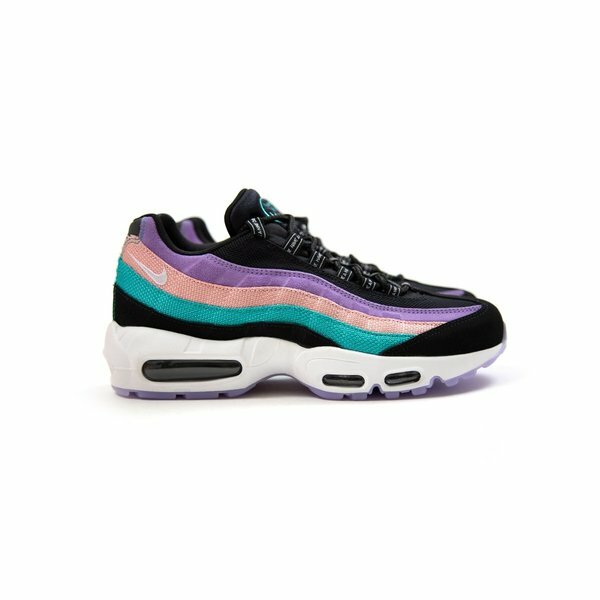 • Signature wavy panels for the Air Max 95’s iconic design. • Air Max logo embroidered on tongue. • Quick-pull lace loops for easy access. • Reflective detailing on heel. 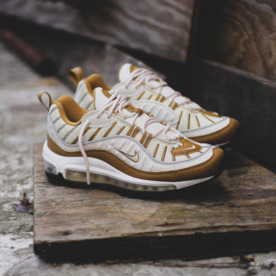 • Visible Air Max units in heel and forefoot. • Rubber outsole with waffle pattern for traction and durability.